Services Plus of the Pee Dee Inc. When you have someone in your home or business, you want to know you can trust them. We have built our reputation on quality service and truthworthiness. Some of our current customers were our original customers. When you deliver quality, consistent, secure services, people notice and appreciate it. Our surety bond protects your possessions from theft while we are in your home. We pride ourselves in the care we take while we work. You can be asssured that your property is fully protected. Services Plus, Inc., is fully insured to protect your belongings against accidents while we work. Our employees are covered by Worker's Compensation so taht you don't have to worry about liabliitly for personal injuries that might happen while we're doing our job. 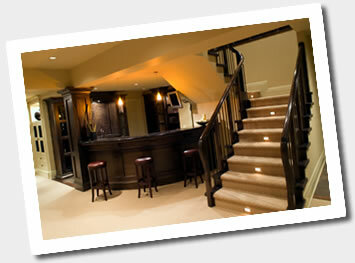 At Services Plus, Inc., we take pride to providing the best professional cleaning services for your home or business. Since 1988, we've built a reputation for quality, affordable service. We use trained cleaning crews to do a thorough job quickly, keeping your interruption to a minimum and making your life a little easier. You work hard for a living. Who wants to go home after a full day at the office and do housework? Let us do our job so you can spend time doing the other things you need or want to do in your time off. For quality, professinal cleaning, call us at Services Plus, Inc. I personally guarantee all our work. This site was developed and is maintained by Cats Productions Inc.